The talking maps on this site are designed to stimulate some imagination and convey stories that are specific to certain geographical areas. By combining visual images of fire locations with video pop-ups, the maps are able to “talk” to the viewer. Each map contains videos of stories collected from wildland firefighters located all over the west. Some stories tell about close calls, others describe favorite aspects of fighting fire or memorable shifts, while still others are simply memories that came to life during the interviews. 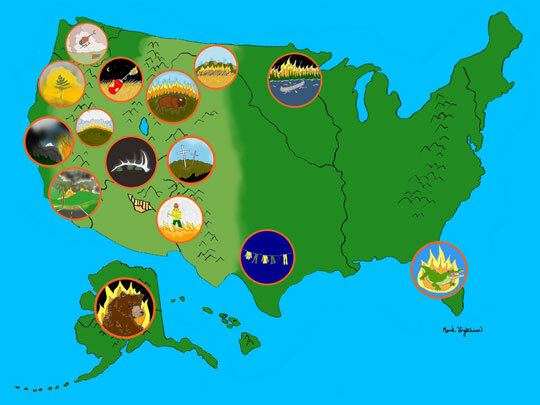 Click on the separate maps below to view the geographically inspired stories. On the full-size map, you’ll be able to hover over each internal image to view a short description of the story, and then click to watch the related video. Go explore! More maps are on their way. 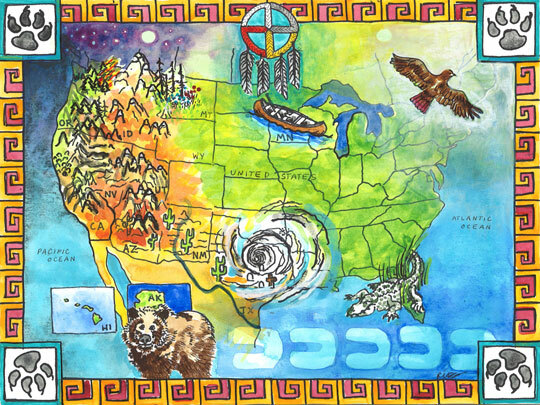 Interested in contributing art work to The Smokey Generation’s Talking Maps page? Contact Bethany with your ideas!